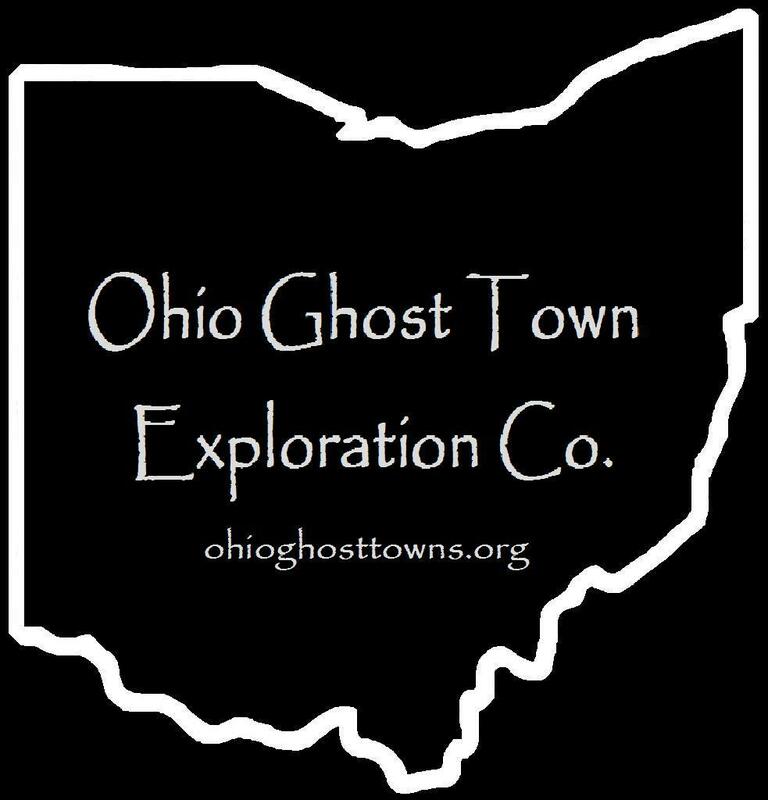 Perry County – Ohio Ghost Town Exploration Co. Description: The post office was called Asbury & the town was platted as Mount Hope in 1835 by George Kishler (1799 – 1881) from Mifflin County, Pennsylvania & Irish immigrant Patrick Sweeney (1776 – 1869). George was also the postmaster. Mount Hope had a general store & a couple of other small shops but didn’t attract many residents & never grew much. Although the town was last spotted on the 1859 county map & didn’t make it into the 1875 county atlas, it was stated in the 1902 county history book that local residents still called the community Mount Hope. George Kishler was married 3 times & had several children. He was buried with relatives in New Lexington Cemetery about 6 & 1/2 miles northeast of town on Cemetery Rd on the southwest side of New Lexington. Patrick Sweeney was buried with relatives 2 miles north of the GPS coordinates in St. Patrick’s Cemetery on the east side of SR 668. Description: Beanville was mentioned in the 1902 county history book as an early settlement that was never platted. Description: It was the first settlement in Monroe Township. The original proprietors were county pioneers John McDonald Sr. (1786 – 1861) & Sarah (Dew) McDonald (1795 – 1872). They made the journey to Ohio from Maryland in 1814 with Sarah’s brother James Dew (1787 – 1875) who settled in the southeast portion of the township. The post office was originally called Sunday Creek Cross Roads & it changed to Buchanan in 1856. John was the first postmaster & N. H. Bentley was the last known postmaster. John McDonald Jr. (1829 – 1881) inherited much of the family land & operated a saw mill northwest of the GPS coordinates on the west side of Scenic Rd SE. Morgan’s Raiders, a Civil War Confederate Army cavalry unit, rode through Sunday Creek Cross Roads in 1863 & didn’t do any harm there. However, nearby Millertown wasn’t as lucky, suffering great losses in stolen goods & damage. After making it through the harsh decades of early 1800s pioneer life & having much success with farming & their land speculation, John & Sarah McDonald became the wealthiest residents in the township & possibly the county. They had at least 8 children, all born in Ohio, & were buried with relatives in Monroe Cemetery. John McDonald Jr. was buried with relatives in New Lexington Cemetery. Sunday Creek Cross Roads faded into oblivion shortly after the town lost its post office & Buckingham was platted just to the west that same year. Description: It was a mining town on the Toledo & Ohio Central Railroad. One of the coal mines north of the GPS coordinates was on land owned by Abraham Park (1814 – 1908) & Mary (Lee) Park (1817 – 1893). They moved to Ohio from New Jersey. A son on theirs, Civil War Veteran Thomas Park (1843 – 1902) & his wife Louanna (Jordan) Park (1852 – 1933), owned another mine north of it. Edward Hillis (1831 – 1915) & Alice (Ferguson ) Hillis (1834 – 1889) owned a mine on the east side of the GPS coordinates. Thomas Kinsel Jr. (1865 – 1944) was the last postmaster. Everyone mentioned in this listing was buried with relatives in New Lexington Cemetery. Description: As the McDonalds were growing to be the most prominent family in the township at Sunday Creek Crossroads, James Dew (1785 – 1875) from Maryland & Lydia (Tuttle) Dew (1800 – 1879) weren’t far behind in stature. They had a large family of at least 11 children & were also successful in farming & land speculation. Although the post office didn’t last long, the town & Dew family were very influential in the area. In the mid-1800s, there was a school 1 mile north of the GPS coordinates on the east side of Irish Ridge Rd SE at Spencer Ridge. A newer school was built around 1870 & was on the west side of Irish Ridge Rd in the southwest corner of the intersection of Town Hwy 298 SE (Township Rd 298 SE). Eli Dew (1840 – 1915) & Sarah (Dorris) Dew (1845 – 1917) married in 1864 & had several children. They owned a grocery store on the east side of Irish Ridge Rd SE just north of Spencer Ridge. The Atlantic & Lake Erie Railroad was built through the area in the early 1870s. James & Lydia donated land for its track path, but it didn’t revitalize Dew Creek which had been declining for several years as other towns around the county & across the borders in Athens & Morgan County were booming with coal production. Everyone mentioned in this listing was buried in Dew Cemetery. It dates back to the 1810s with James & Sarah (Dew) McDonald’s parents, Thomas Dew (1750 – 1818) & Josinah (Crabtree) Dew (1759 – 1816), being a couple of the earliest known interments. The cemetery was officially established in 1869 & is nicely maintained. Over 120 Dew family members have been laid to rest there. Description: Dicksonton was platted in 1875 by George Detwiler & Revered William H. Price (1838 – 1909). It was originally called Dickson City along with the post office & was a coal & iron mining town on the Newark, Somerset, & Straitsville Railroad (later bought by the B & O). The town had around 100 residents & a general store. Although the post office remained in operation for a few years longer, the village was said to be deserted in the 1902 county history book. William Price was buried with relatives about 8 & 1/2 miles northwest of town in New Lebanon Evangelical Lutheran Burial Ground on the west side of Old Junction Rd N (Co Rd 94). The area is currently called Dixie. Description: As with Beanville, Dogtown was mentioned in the 1902 county history book as an early settlement that was never platted. Description: The original proprietors were William Gordon (1772 – 1849) from Frederick County, Maryland & Mary (Cain) Gordon (1778 – 1867) from Monongalia County, Pennsylvania. William was a farmer & became a well-respected judge. He was married 3 times, with Mary Cain being his last wife, & most of his children stayed in West Virginia where William lived for a few years before moving to Ohio. William & Mary were buried with relatives in Holy Trinity Cemetery about 12 miles north of town on S Columbus St in Somerset. Description: Hamburg was a coal mining town on the Zanesville & Western Railway. The land was formerly owned by the John & Sarah McDonald. One of their sons, Lewis McDonald (1819 – 1870), inherited the land & was the last owner before the mining industry arrived. He was buried with relatives in Monroe Cemetery. Description: Lewis A. Gillespie (b. 1853) was the first postmaster. Isaac E. Ashbaugh (1859 – 1940) was the last known postmaster & general store owner. He was buried with relatives in Bethel Church Cemetery at the intersection of SR 668 & Town Hwy 372 (Township Rd 372). Description: Hanover was platted in 1804 by Jacob Dittoe Sr. (1759 – 1826) & Catherine (Sneeringer) Dittoe (1764 – 1853). It was originally in Fairfield County & was approximately 4 miles west of Somerset. The town was unsuccessful in attracting residents & industry. During the first session of the Perry County Court Of Common Pleas in July of 1818, Jacob applied to have the plat vacated & his request was subsequently granted. The Dittoe family, along with 5 other local families, built the first Catholic church in the state which later became St. Joseph Church. It was an 18 x 22 feet log cabin. They donated the 320 acres of land it was on to Bishop Edward Fenwick. Jacob & Catherine were buried with relatives & other early pioneers in Old Saint Josephs Priory Cemetery about 2 & 1/2 miles southeast of Somerset on the west side of SR 383. The current church structure was completed in 1866. There’s also a historical marker along the roadside with more info. Description: The proprietor & postmaster was John Hansley (1774 – 1849). The office was discontinued when he passed away. John was buried in Holcomb (Fletcher Chapel Methodist Episcopal) Cemetery on the west side of Town Hwy 202 (Township Rd 202) between Township Hwy 201 & Royma Rd NE (Co Rd 66). Description: It was a coal mining town on the Zanesville & Western Railway. The mines were operated by the Atlantic & Lake Erie Coal Company. Many residents, including the Maxwell family who formerly owned the land where the GPS coordinates are, were buried in Beech Grove Church (Conn) Cemetery Town Hwy 435 (Township Rd 281) west of town on the other side of Indian Run. Description: Horne had a passenger station on the Cleveland, Akron, & Columbus Railroad in the early to mid-1900s. The town was listed on the Harrison Township map in the 1941 county atlas. The railroad’s last run was from Cleveland to Columbus in December of 1950. Description: It was another stop on the Cleveland, Akron, & Columbus Railroad & had mines operated by the Tunnel Hill Coal Company. Michael Meenan (1842 – 1924) was the town’s postmaster. He was buried with relatives in New Lexington Cemetery. Description: The town was platted in 1853 & had a train tunnel named after it on the Scioto & Hocking Valley Railroad. The tunnel was constructed in 1853 – 1854 & crossed the township border just south of the GPS coordinates. Middletown had a post office, 2 stores, & about 50 residents. It’s unknown what the post office was called, but it couldn’t be Middletown because there was already one by that name in Butler County. Friendship Methodist Episcopal Church was constructed around 1870. Many of the town’s residents were buried in the cemetery. Middletown was mentioned in the 1902 county history book & fell into obscurity shortly after that. Description: It was on the Cleveland & Mahoning Valley Railroad & had mines owned by the Imperial Coal Company which built some houses for the workers in the first decade of the 1900s. Description: The town was founded by Irish immigrant John O’Conner (1798 – 1854). It’s unknown if Oconorville was ever platted or if any attempt to create a village actually happened. After John passed away, the area continued to go by Oconorville for several decades. The last known mentioned it received was the recording of its elevation in a 1911 book, Results Of Spirit Leveling In Ohio. John was buried in St. Patricks Cemetery south of Junction City on the east side of SR 668. Description: The proprietors were Bartholomew Tatman & his wife, likely named Anny or Amy. They moved to Ohio from Allegheny County, Maryland in the late-1810s along with Bartholomew’s parents & younger siblings. Pleasant Grove (Tatman) Church congregation was organized in the mid-1830s with meetings originally held in the Tatman farmhouse. The congregation built a log church & replaced it with the present wood frame structure around 1861. Its unknown where Bartholomew & his wife were buried. They moved to Washington County, Iowa in 1843, but moved back to Perry County a few years later. Bartholomew was last recorded living in Fairfield County with his son Joshua in the 1860 census. Description: It was founded in the 1870s by German immigrant George Wellan (1824 – 1893) & Irish immigrant Mary Wellan (born c. 1822) as a mining town on the Newark, Somerset, & Straitsville Railroad (later bought by the B & O). The town was last spotted on the Reading Township map in the 1941 county atlas. It’s unknown where George & Mary were buried. Their surname also had several alternative spellings on genealogical records such as Wellen & Wellon, & sometimes there was an “s” attached to the end. Description: This small farming town had a general store & a church. William C. Moore (1808 – 1882) was the first postmaster. His brother John S. Moore (1805 – 1879) was the last postmaster. Another one of their brothers, James H. Moore (1809 – 1897), revolutionized the lumber industry with his invention of the portable steam-powered saw mill. They were produced in mass quantities in Zanesville & shipped worldwide. Chapel Hill was originally called Thompsonville & was platted in 1849 by Irish immigrant George Thompson (1812 – 1880) & Sarah Thompson (1807 – 1882) & Bryan Murtaugh. It was an Irish community & had a Catholic church, a hotel, school, general store, & a few other merchant shops. The population was 52 residents in 1880. Chapel Hill never attracted a railroad & or large industries. As a result, it didn’t have any population booms & the number of citizens gradually declined over the 1900s. Over 300 local residents were buried in Chapel Hill (Saint Francis Catholic) Cemetery. It was officially established in 1840. George & Sarah were buried with relatives in Bailey Cemetery on the south side of S Bailey Ridge Rd near the Muskingum River north of Stockport in Morgan County. Congo hit the maps when coal mining started in the area & 40 houses were built for the employees. The ownership & management of the mines changed several times over the decades, which seemed to keep the town from moving forward & growing at times. It never had a big population & has been getting smaller since the mines shut down in 1954. Congo had a post office from 1892 – 1959. There are some abandoned buildings, old foundations, & smaller remnants in the area. It was a large mill town named after the family of John Hatfield (1818 – 1920) & Alice (Darnell) Hatfield (1821 – 1897). They settled on farmland a few miles south of Corning & had 9 children. The town became a transportation hub with crossroads going in all directions. Township Hwy 295 was an old stagecoach road. There are reports that the foundation to one of the Hatfield’s mills & a few buildings can be found in the area. Some residents stayed after the 1903 flood but everyone eventually left after flooding in later years. John Hatfield was buried in Dew Cemetery on Irish Ridge Rd. Although the old town is gone, the area still goes by the name Hatfield & is listed as a populated place. The town of Straitsville, which is still a populated place about a mile north of New Straitsville on County Rd 38 (Old Town Rd), was platted in 1835 by Jacob & Isaac Strait. Its first post office ran from 1848 – 1870 & another one called Sheldon ran from 1880 – 1884. The population was 308 in 1880. New Straitsville was founded in 1870 as coal production in the area began. Many of the residents of Straitsville moved south to work in various coal industry related jobs. New Straitsville had over 4,000 citizens by 1880. The town is also nicknamed the “Bootleg Capital Of Ohio” after its former moonshine producing days & holds an annual Moonshine Festival on Memorial Day weekend. A local mine fire, which was set by coal miners during a labor strike in 1884, reportedly continues to burn & smolder to this day. Robinson’s Cave is on Railroad Rd off of Main Street on the south side of town where mining labor meetings were held. The population in the 2010 census was recorded at 772. It’s currently Ohio’s smallest town with 36 residents in the 2010 census. Rendville was established in 1879 by William P. Rend (1840 – 1915), a Civil war veteran who later moved to Chicago & turned into a railroad, coal, & oil tycoon. William built whatever his employees needed including grocery stores, saloons, & hotels. The town had around 1,000 residents at its peak in the 1880s. Rendville was hit hard by the Great Depression & has been losing residents since then. The town lost its post office in the early 1980s. Many early settlers are buried in Rendville Cemetery at the end of Main St off of SR 13. Thanks to group member Brett Taylor, manager of Ohio Hiking Trails And Historical Sites, for providing the listing picture! Thanks also to group member Tammy Altman for providing the info on William P. Rend! It was the largest town in Perry County for decades but keeps getting smaller as more people move away. Shawnee now has just a fraction of its peak population & was at 655 residents in the 2010 census. Main Street looks like a brick town from the late 1800s to early 1900s with only a few buildings still in operation. The majority of them are abandoned along with many other small business & homes in the area due to the mining industry leaving & competition from large chain department stores in nearby towns.